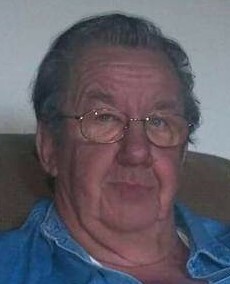 Joseph “Joe” Falkowski, age 73, of New Lisbon, WI. died on Saturday, March 23, 2019 at Agrace HospiceCare in Fitchburg, WI. Joe was the son of Joseph and Florence (Boike) Falkowski. and was born on July 26, 1945 in Chicago, Illinois. He graduated from Gage High School in Chicago in 1963. After school Joe went to work for Marcal Paper Company in Chicago. Joe was united in marriage to Mildred “Millie” E. Owens on August 26, 1973 in Chicago, Il. Joe enjoyed hunting, fishing, metal detecting, old cars, treasure hunting, and was a member of a motorcycle club. Joe and Millie moved to the New Lisbon area in 1973 and he was employed by Necedah Screw Factory and later the Beef N Pub Restaurant. Most of Joe’s employment came from the City of New Lisbon where he was a police and fire dispatcher, a volunteer fireman, and the powerhouse operator for many years. He later worked security for the Ho-Chunk Casino in Wisconsin Dells. Joe was also a special deputy for the Juneau County Sheriffs Department and assisted with jail transfers. Joe is survived by his wife Millie Falkowski of New Lisbon, a daughter Victoria (Tim) Beiersdorf and their daughter Gemma Pearl of Mt. Horeb WI, sisters Josephine (Willie) Maliscewski of Chicago, IL and Lillian Hannan of Chicago, nieces Kimberly (Tony) Iacobelli, Ashley Hannan, Shannon Hannan, and nephews, Carl (Amy) Maliscewski and Jason Falkowski, and the Krupa cousins, Monica, Charlie, Jimmy, Loretta, Edward and Eymard. Further survived by many other cousins. He was preceded in death by his parents, his step mother Lillian Falkowski, mother-in-law Eva P. Kominsky, and a brother-in-law David Hannan.